Saint Germain des Pres is alluded to by many Parisians as the ‘bobo‘ area of Paris pertaining to the ‘bohemian bourgeois’ intellectual types who used to run the narrow, crooked streets. The neighborhood is known to have had famous artists and writers stay in it, like Jean-Paul Sartre and Oscar Wilde. Since for quite a time now, some streets in the Saint Germain neighborhood have been invaded by pseudo-types of restaurants and cheap souvenir shops that have caught many tourists in their traps. Don’t let this turn you away from discovering the area’s many storied cafés, designer boutiques and art galleries. More importantly, our Saint Germain des Pres map will lead you away from those places and show you the best ones that still embody the spirit of the neighborhood as it were. 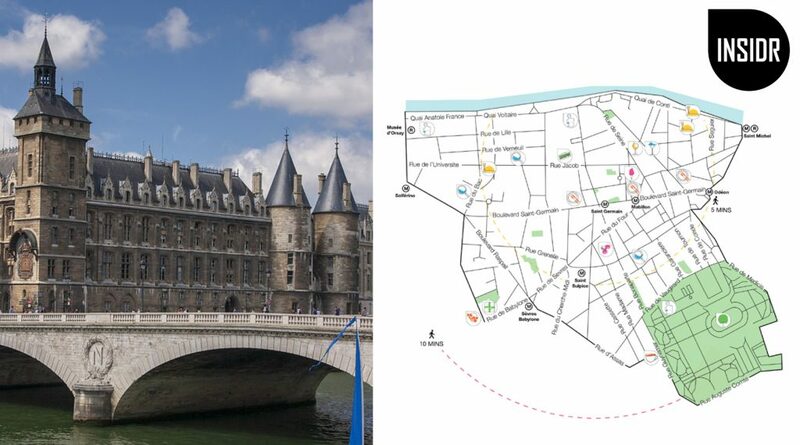 What is in your Saint Germain des Pres map? 10+ recommendations of the must-see sights in Saint Germain des Prés, including Jardin de Luxembourg and Le Bon Marché department store. Also our favorite restaurants in the area with recommendations for every budget and profile! 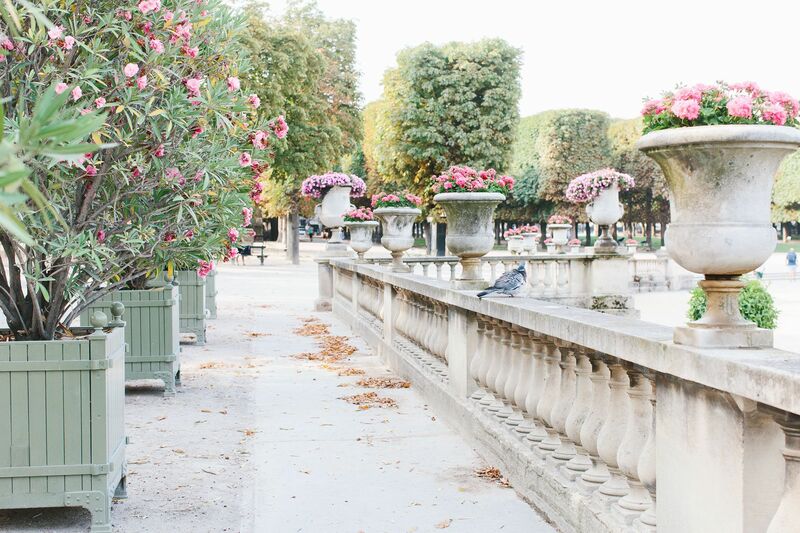 Jardin du Luxembourg is arguably the most beautiful garden on the Left Bank of the Seine. Along with the palace, it was originally created in 1612 to serve as Marie de’ Medici’s new residence. Today, the gardens are as beautiful as they were with its wide lawns, flowerbeds, and tree-lined promenades. Musée du Luxembourg was the first ever French museum opened to the public in 1750. Owned by the French Senate, the museum hosts 2 exhibitions per year and gains much foot traffic from the number of people visiting the famous Luxembourg gardens. You’ll also find Angelina tea room here in case you’re intensely craving for some hot chocolate. The Saint Sulpice church, located in the heart of Saint Germain, is one of the biggest churches in Paris. Even if you’re not religious, the church is definitely worth a visit. You can admire the nave, the mural paintings by Eugène Delacroix, and the large organ. Perhaps the only museum to rival The Louvre would be Musée d’Orsay. Even before entering, you’ll notice how familiar its architecture looks because the museum is actually housed in a former train station. Come here to admire the world’s largest collection of Impressionist and post-Impressionist masterpieces by painters like Monet, Degas, and Van Gogh. 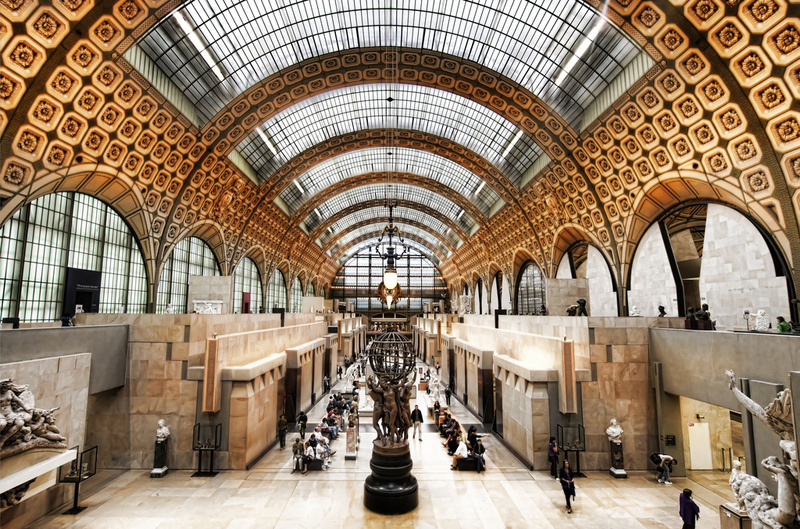 Access to Musée D’Orsay is included in Paris Museum Pass. For more local INSIDR tips check out our visit Paris travel guide. Ecole nationale supérieure des Beaux Arts, as per its official name, is an elite institution in Paris for studying fine arts. We’re not imploring you to enrol yourself into one of its programs but we think you should go visit the campus grounds and enter one of the many exhibitions it hosts annually. – L’Atelier de Joël Robuchon in Saint Germain des Pres has become a culinary landmark in the city. Even after the famous chef’s passing, the team of chefs that have taken over are proving to do a good job hence they’ve kept their 2 Michelin Stars. – Beaupassage is the newest addition to Paris’ already very competitive gastronomy scene. It is a food and wellness arcade in the 7th district where great chefs French chefs like Yannick Alleno and Anne-Sophie Pic have set up shop. You’ll even find Champion Spirit Paris here whoch is a new ’boutique gym’ and art gallery! – Huguette is the perfect seafood place for you in Saint Germain des Pres. We love their fresh oysters and ceviche that tae you to the coast of Normandy or Brittany with every mouthful! – Le Relais de L’Entrecôte is one of the best steak-frites restaurants in all of Paris. And that’s the thing: you can only order steak and frites here and nothing else. Some may argue that the steaks are just okay but what makes people keep coming back is the special sauce! 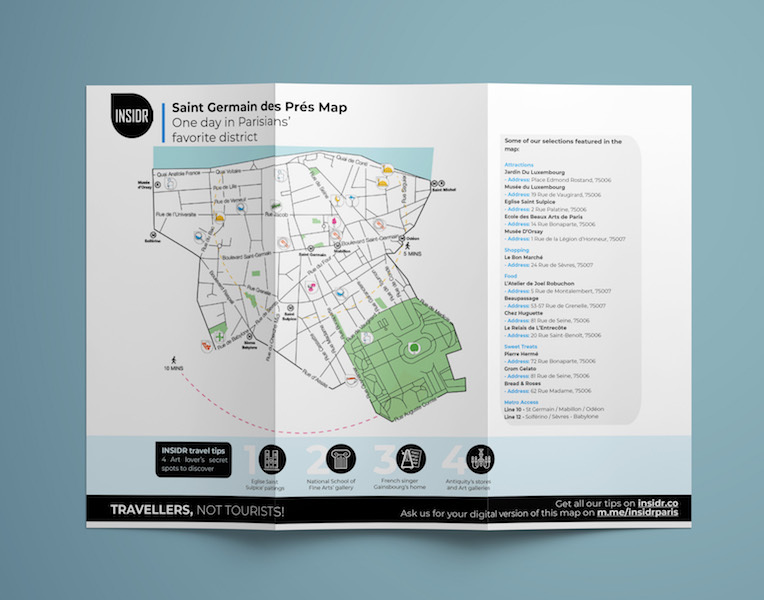 Get your Saint Germain des Pres map now! 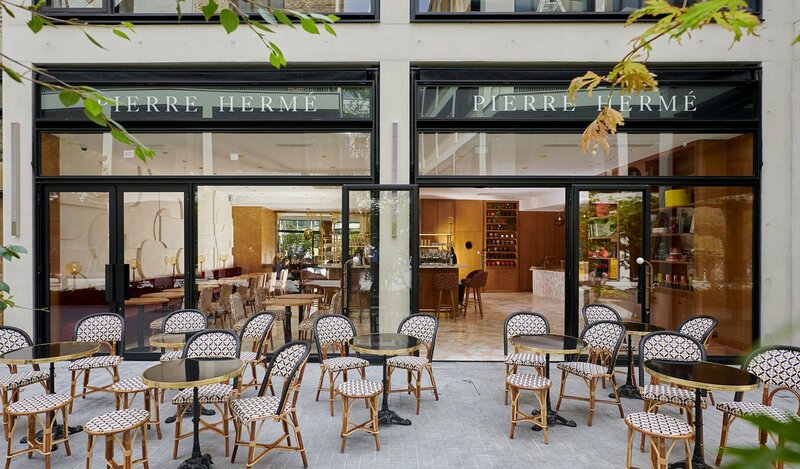 – Pierre Hermé is most famous for their delicate macarons that have some of the most exciting flavor combinations. One of our favorites is the olive oil and mandarin flavored macaron! – Grom promises serving gelato made in the traditional Italian way. Because there are more than 20 delicious gelato flavors to choose from, you’ll probably suffer choice paralysis. Consequently, there is a solution—just ask for the flavor of the month! – Bread & Roses is a bakery in Saint Germain des Pres that seems like a riff on bakeries you’d find in England or in the US. Here, you’ll find giant wedges of cheesecake alongside French pastries. For less guilt, you can try their bread made from “bio” or organic ingredients. 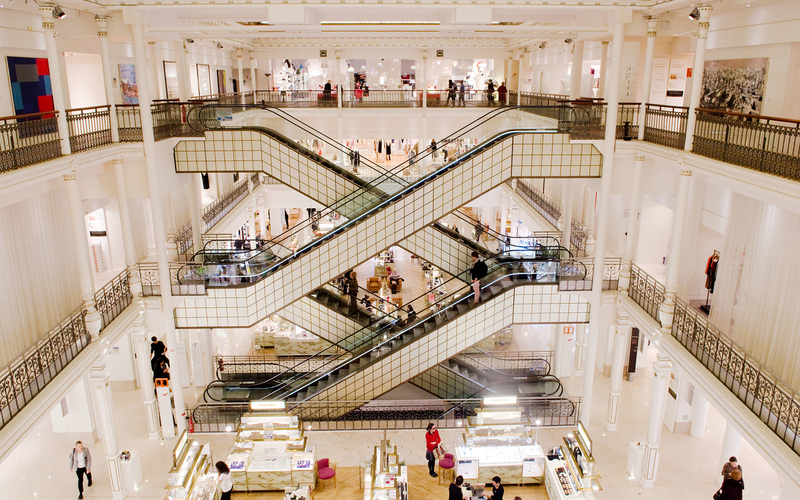 The only place we recommend shopping in Saint Germain des Pres is Le Bon Marché. Le Bon Marché is a high-end department store that has brought together different luxury and high-street brands from all around the world. Here, you’ll find your French favorites in fashion like Louis Vuitton and Celine and international high-street brands like Acne Studios and Self-Portrait. They also carry a number of beauty and skincare brands as well as home furniture. We also love La Grande Epicerie which is their multi-story shopping haven for gourmet food. You liked our Saint Germain des Près map? There are more free INSIDR Travel resources for you! We’ve published a few other free guides that will help you make the most out of your time in Paris! Our Paris Museums Guide will tell you about the best museums and exhibitions in Paris right now. 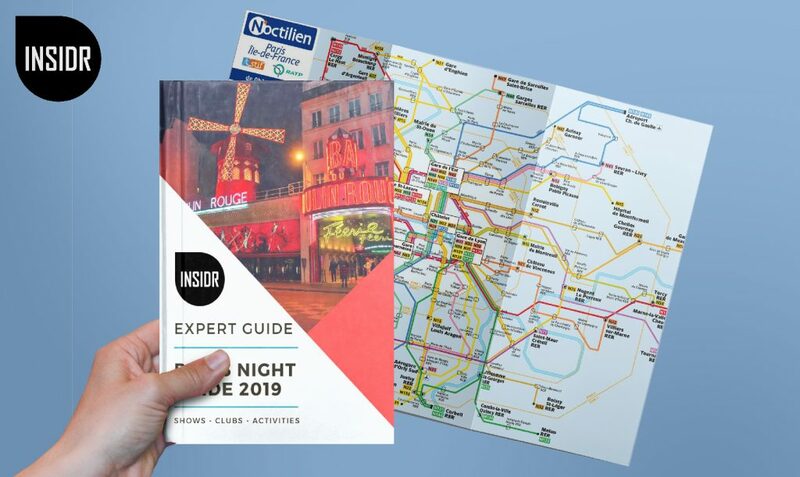 We’ve got the Paris Shopping Guide that is full of information on where to shop in Paris for specific things you’re looking for. If you’re planning on exploring the hills of Montmartre, our Montmartre Guide is your perfect walking companion!